A friendship that stands the test of time is hard to come by. Come share our journey with us as we stumble through life and all of its adventures!! For about the last two weeks or so, I have been obsessed with making healthy smoothies. Normally when I am in the kitchen, I follow recipes I find on-line or in cookbooks pretty much to the letter. Rarely, do I attempt to go off the cuff, making my own creations. This is mainly because, I want my food to taste good. I worry if I start adding things willy nilly, I’ll screw the dish up royally! No one wants their dishes to taste bad! I’ve found smoothies are fairly hard to screw up though. All you do is toss various fruits, liquids, veggies, etc into a blender and, “Ta Da”, you’ve got a yummy smoothie. Without a doubt my favorite creation has been my Mango Green Smoothie. The finished smoothie may look like something a Witch would brew, but trust me, looks are deceiving. This is super easy to make, and is one amazingly, yummy drink! 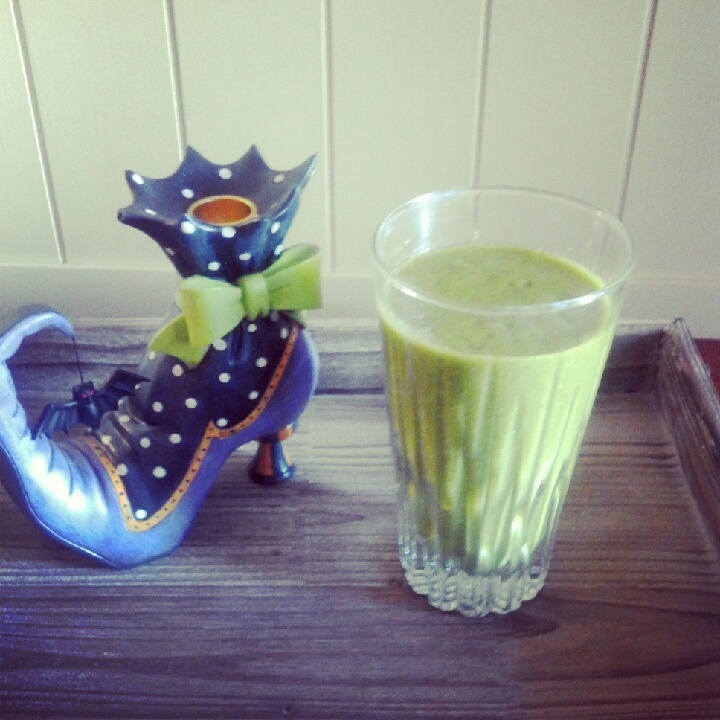 You can’t even taste the spinach which gives this smoothie its green color. I think this would be one great way parents could get their little ones to eat their spinach! Directions: Blend in a blender until smooth. This entry was posted in Food, Health, Life, Uncategorized and tagged Drinks, Food, Health, Recipe, Smoothie. You got that right! It’s a great way to help get in those daily fruit & veggie servings! Hip Hip Hooray! I Came, I Saw, I Conquered a Three Day Juice Cleanse! Kicking off 2013 Determined to Accomplish my Resolutions!